Have you ever wondered what your life will be like 20 years from now? How about even 5 years from now? I often think about what my life will look like when my daughters are adults. Will they be happy? What will they be doing? These are all unknown questions. However, for one couple, a visit to IKEA turned into an experiment in time travel! I love shopping at IKEA and have furnished and decorated many rooms in my new home with IKEA furniture and decor. One thing I like about the brand is that they are always thinking outside the box. The IKEA Experiment with Time Travel is definitely something original and fun! 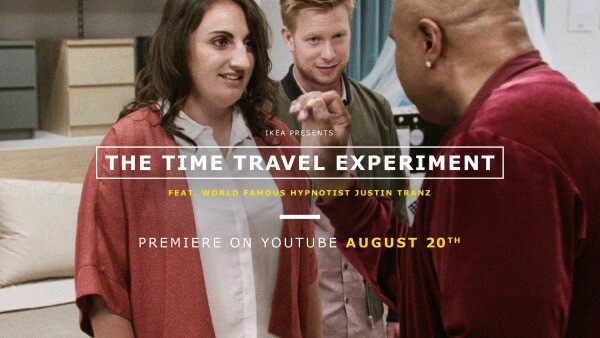 To begin the experiment, world-renowned hypnotist, Justin Tranz, approached IKEA shoppers to see if they would be interested in being hypnotized. He found a willing young couple that he put into a deep trance and then guided them through a series of life-changing family events set years in the future featuring professional actors. 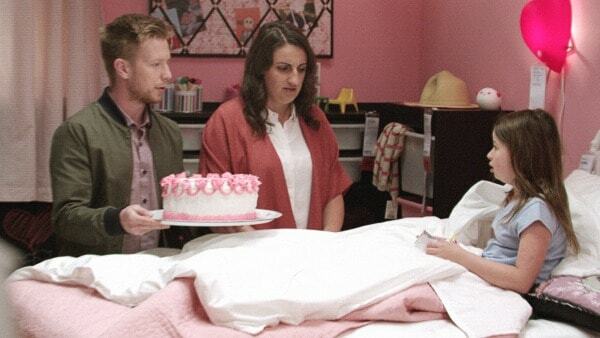 The couple meets their future daughter as a child and teenager and also has a very odd run in with her future live-in boyfriend in the bathroom. I’m sure they wanted to forget that meeting. Hilarious! I don’t want to give the whole thing away so watch the video below to see the experiment. Creative right? I thought it was neat to see how the experiment spotlighted everyday events and how they can shape and change our lives. As Johan Wickmark, Global Catalogue Manager at IKEA says, “In the new IKEA catalogue you can find solutions for every episode in life”. What was your favourite moment from the video? Interesting idea. I liked that it made me think. Cool concept! I like how he showed how the daughter grew up and your right everyday changes and words make a difference. Interesting demonstration and great people involved. The look on her face when George dropped his housecoat was priceless! I liked how it showed the daughter growing up. The Nakes boyfriend was a little to much but I guess that is what I will remember about the video! I love love love Ikea but this ad was just a waste of time.